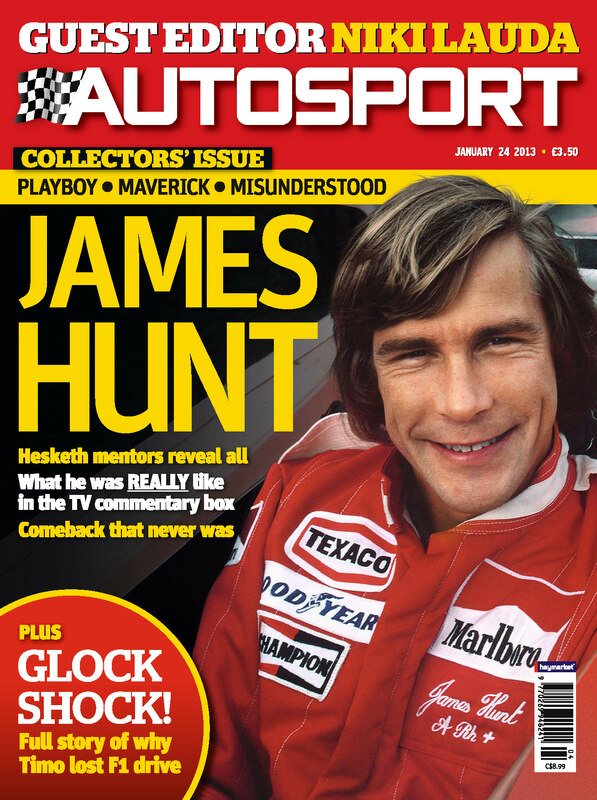 The January 24th edition of Autosport ran a series of features on James Hunt, F1, McLaren, Ron Howard's movie, Rush, which is released in the UK September 2013 and a full page feature on me and 'The Race of my Life'. All of these features gave me a chance to revisit some glorious, funny and outrageous moments during my career. Head over to Autosport to read more. The article on James bought back many outrageous memories - because when James and I were together it often got out of hand!. It gave me a chance to share a couple of the more amusing moments with James being James! It also reminded me about the hard work required to recall and draft a recollection of memories. I'm just in the middle of producing a book about my motor racing career, which of course will include a lot more stories about James. Make sure you post a comment at the bottom of this article with your details and when we have more news I'll let you know. It will be a great read full of lots of 'can't miss' stories! And finally when you pick up your digital or newstand edition of Autosport don't miss the full page article on page 90 'Final Drive - Race of my Life'. It's all about the Japanese GP at Fuji on October 24th 1976 where James needed to finish third to win the F1 championship. It was run in appalling conditions and James' refusal to read the race boards caused endless amounts of 'Pit Rage'!